This is a basic Chinese steamed dough recipe. When preparing a specific recipe such as Flower Rolls, the instructions will call for adding baking powder to the dough to give it an extra lift. 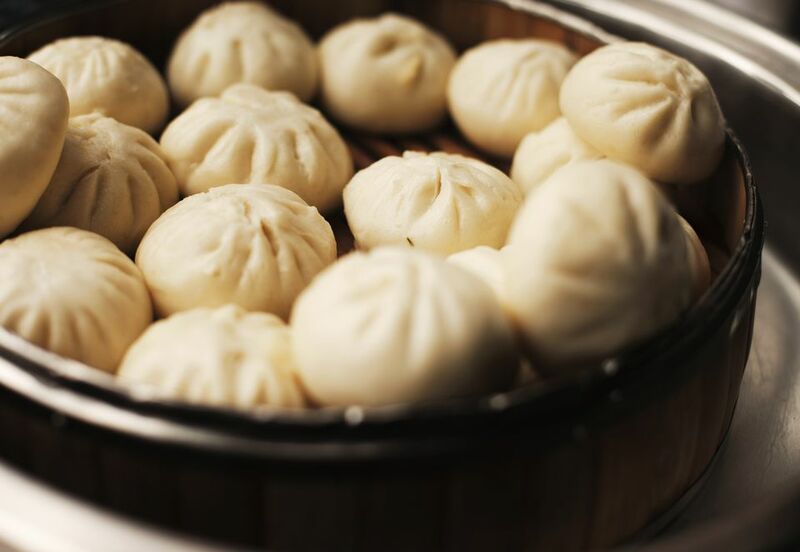 Use this though to make any number of steamed bun recipes. Sift the flour into a bowl. Add the yeast and water mixture and begin stirring immediately. Keep stirring until you have a dough that holds together and doesn't stick to the sides of the bowl. Adjust the amount of water, adding more or less as is needed. Turn the dough out onto a lightly floured surface, and knead until it is smooth and elastic (about 10 minutes). Add more flour or water if needed. Cover and let rest for 1 1/2 hours. Punch the dough down again, and let it rest for 1 - 1 1/2 more hours, until it's size has doubled. Use as called for in the recipe.